(PRLEAP.COM) New York (November 30, 2018) - Editors of the ABA Journal have selected Zen & the Art of Legal Networking (http://www.zenlegalnetworking.com) to the 2018 ABA Journal Web 100, as one of the 100 best digital media for a legal audience. The Web 100 honors legal blogs, podcasts, social media and as of 2018, web tools. In addition, the magazine has added five more bloggers to its Blawg Hall of Fame-featuring the very best law blogs, known for their untiring ability to craft high-quality, engaging posts sometimes on a daily basis. Zen & the Art of Legal Networking is authored by the International Lawyers Network's Director of Global Relationship Management, Lindsay Griffiths. "The web is a constantly evolving space, and we enjoy shining a light on new and useful blogs, tools and people for legal professionals to follow," Editor and Publisher Molly McDonough said. "We started this project as the Blawg 100 in 2007, but over the years have broadened the scope to include podcasts and social media. This year, we added a category to explore tools that have practical applications for your day-to-day life as a lawyer. We hope the Web 100 provides readers with entertainment, engagement and a way to keep abreast of the newest developments in the legal industry." "It's an honor to be included among such esteemed company," said Ms. Griffiths. "The judges felt that Zen is outstanding, thoughtful and useful, and it's always been my goal as a blogger to serve the legal community and add value through my writing. I'm thrilled to be recognized by the ABA Journal." The ABA Journal is the flagship magazine of the American Bar Association, and it is read by half of the nation's 1.1 million lawyers every month. It covers the trends, people and finances of the legal profession from Wall Street to Main Street to Pennsylvania Avenue. ABAJournal.com features breaking legal news updated as it happens by staff reporters throughout every business day, a directory of more than 4,000 lawyer blogs, and the full contents of the magazine. The International Lawyers Network facilitates personal relationships among lawyers in mid-sized law firms all over the world, allowing them to confidently operate in a global marketplace while retaining their independence and local expertise. As one of the largest networks of experienced attorneys in the world, the ILN provides a platform for clients to access quality legal professionals worldwide with the cost-effectiveness and personalized service only independent, regional law firms can provide. With 91 high-quality, full-service and specialized law firms and over 5,000 lawyers in 67 countries on six continents, the excellence, demonstrated experience, worldwide presence, and relationships of the International Lawyers Network combine to make this Network one of the leading associations of independent law firms in the world. The ILN: Where lawyers become friends. Lindsay Griffiths is the International Lawyers Network's Director of Global Relationship Management. In this capacity, Ms. Griffiths works closely with the Network's Executive Director on the oversight and management of day-to-day operations of the (ILN). She develops strategies and implementation plans to achieve the ILN's goals, and shares responsibility with the Executive Director for recruitment, member retention, and a high level of service to members. She is engaged in the legal industry to stay on top of trends, both in law firms and law firm networks. During her tenure, the ILN has been shortlisted as a Global Law Firm Network of the Year by The Lawyer for 2016 and 2017, and included as a Chambers & Partners Leading Law Firm Network since 2011. 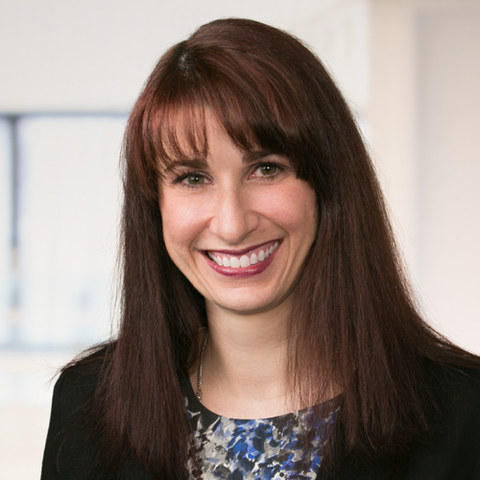 She was awarded "Thought Leader of the Year" by the Legal Marketing Association's New York chapter in 2014 for her substantive contributions to the industry, and was recently included in Clio's list for "34 People in Legal You Should Follow on Twitter." Ms. Griffiths has been the author of Zen & the Art of Legal Networking since February of 2009.